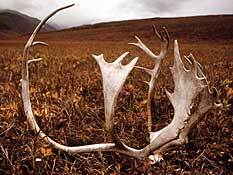 We all have to do our part to protect the outdoors from overuse and abuse. Anyone who goes outdoors should be familiar with and practice Leave No Trace skills and principles. Know the regulations and concerns for the area you'll be hiking, backpacking, or camping in. Restrictions are based on any past abuse and the special conditions of an area. Camp and travel in small groups. They are quieter and do less damage. Repackage your food into re-usable containers like Ziploc bags. Avoid tin or aluminum cans and glass. Reduce the amount of trash you bring into the woods by eliminating all unnecessary packaging like cardboard boxes, etc. Make sure you have a way to properly dispose of your trash (use your Ziploc bags and bring an extra garbage bag). Get back to the basics. Rough it! Select your gear and plan your trip by thinking about how it will impact the environment and also how it may affect others as well. Choose hiking, backpacking, and camping gear and clothing that are natural earth tone colors like green, brown, tan, or black. 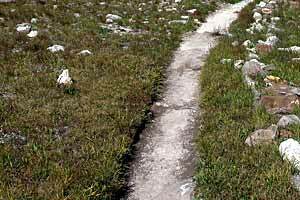 Stay on designated trails while hiking or backpacking. Walk single file in the center of the path. Leave only the lightest of footprints. Use existing trails. Don't shortcut switchbacks. Stay on the trail if it is muddy or wet. Hike through it. If you walk around the mud the trail will widen and become even muddier in the future. Mud is part of the backcountry challenge. Wear waterproof boots and gaiters to protect your feet from mud and water. Stay on the trail! If traveling cross-country hike on durable surfaces (rock, sand, gravel, snow, pine needles, or dry grasses) to prevent vegetation damage and erosion. Have your group spread out while hiking off-trail so that new trails aren't created. Be sure to camp on durable surfaces too. Avoid fragile areas that will impact easily and take a long time to heal after you leave. 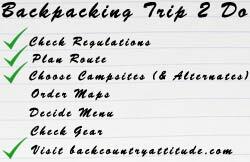 Try to concentrate use into campsites that are already established. Give places just beginning to show impact a chance to heal themselves. Good campsites are found, not made. To minimize trail damage, wear as light a boot as possible for the conditions. Heavy boots with deep treads compact the soil more and tend to tear up the trail. Wear camp shoes (sandals, sneakers, moccasins, etc.) to minimize impact while in camp. If it wasn't there when you came then don't leave it there when you leave! You are responsible for anything you bring into the backcountry. Carry out all your trash. Make your site or travel route look like nobody was ever there. Leave no signs of human influence. Remove all evidence of your stay. Inspect your campsite for trash or misplaced gear before you leave. Do not bury your trash. Animals will dig it up or it will become exposed later on for someone else to find. Pack it out. Contrary to popular belief tin foil and plastic bottles do not completely burn. Pack them out! If a bear beats your bear bag system and steals your food bag during the night, try and find the remains and properly dispose of them before you leave. The bear will be done eating in the morning and most likely had his feast a little ways from your campsite. I have found many that were very close to the respective campsites of victims. You are responsible for everything you bring into the backcounty. Carry out your trash! Practice "Negative Trace". Pick up trash that others may have missed or that were dropped by accident. Pick up trash you find along the trail. I put trash I find into my back pocket or into a side pocket of my pack. Educate any inconsiderate slobs you encounter about Leave No Trace and low impact skills and ethics. Bury human waste in catholes about 6-8" deep 200 feet from any water sources, campsites, or trails. It is good to carry out used toilet paper since animals often dig it up and spread it all over. Carry out all plastic or cotton feminine hygiene products. Do not bury them. Wash yourself and dishes 200 feet from any water sources and away from campsites. Food scraps will attract insects and animals. Filter your dishwater and carry out your food scraps with the rest of your trash. Don't use soap or shampoo. Keep chemicals out of the backcountry! So-called biodegradable soap still has an impact on the environment. If you absolutely must use soap use it 200 feet from any water sources and only use a little bit. If you are on a horse you are responsible for its waste also. Would you take a dump in the middle of a hiking trail? (Unfortunately, I've seen the aftermath of people who actually have.) Move your horse's waste off the trail. Do not let your horse do it's thing by any water sources or campsites. Resist the temptation to take home souvenirs. Leave stones, feathers, artifacts, shells, petrified wood, etc. so that others may enjoy them. 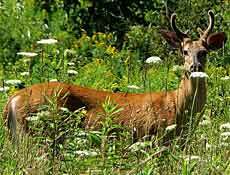 Leave the place you're visiting in a natural condition. You can't improve Nature. Do not alter a site in any way. Good campsites are found, not made. Don't pound nails into trees or damage live vegetation or trees. It is alright to take any trash you find home! Don't build fires! Instead of building a campfire for your cooking, use a small backpacking stove. They will have you eating much quicker than a campfire and they don't leave unsightly charcoal scars or blackened rocks. There are different kinds of lightweight backpacking stoves. Some use alcohol, white gas, butane, propane or isobutane as fuel. There are also multifuel stoves available. There is even a small wood burning stove that will let you have a mini contained campfire without scaring the environment! If you don't have a stove then get one! Use a candle lantern for light instead of building a fire. If you use regular candles don't leave your wax dippings all over the place. It is not "natural". Pack it out! If you must build a fire make it as small as possible and use established fire rings. If there is no fire ring contain your fire in a fire pan or build a mound fire to protect the area from the eyesore of old coals and blackened rocks. Keep your fire small. Use small (wrist size or smaller) dead wood that was already on the ground. Break wood into smaller pieces as needed. Using small wood will ensure that it burns more completely. A nice fine ash that will blow away when the wind blows is ideal. Leave your saw and axe at home. Don't break or saw off branches from dead trees, live trees, or fallen trees. Use only wood that's on the ground. Don't burn green wood. Don't peel the bark off trees for use as fuel. It takes many years to heal and remains an eyesore in the meantime. Don't make a fire ring with rocks. Blackened rocks are very unsightly and stay that way for many years. 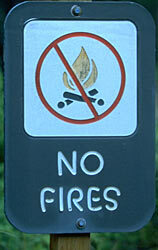 Some areas don't allow fires or only allow fires in designated areas. Know the regulations for the area you will be visiting. During dry periods it can be dangerous or against regulations to build a fire. Make sure your fire is completely out before leaving an area. Remove all unburned trash from your fire ring. Contrary to popular belief aluminum foil and plastic bottles do not completely burn in fires. Scatter your leftover cold ashes over a large area away from campsites. Treat the animals you encounter with respect. Remember that you are a visitor and are traveling and camping in their backyard. Do not feed the animals! You will create a nuisance because the animal will develop a taste for human food, associate humans with food, and then raid our campsites to steal our food. Cook and eat away from your campsite so you don't attract bears. Don't camp near water. Camp at least 200 feet away from water sources. Animals come to water to drink and may be scared off. Areas near water are also more fragile and camping too close can lead to erosion. Preserve the solitude. Respect other hikers by traveling and camping quietly. Keep radios at home. Camp as far away from other visitors as you can to avoid creating noise and visual "pollution". Pets are best left at home. If you do bring a pet keep them on a leash and under control at all times (this includes barking). Keep them away from water sources and clean up after them. They are your responsibility. Some areas don't allow pets. Uphill hikers have the right of way. Choose hiking, backpacking, and camping gear and clothing that are natural earth tone colors like green, brown, tan, or black. Bright colors like white, blue, red and yellow do not blend in with the environment, can be seen from miles away and contribute to a crowded feeling. Base your backcountry decisions not only on how your actions will impact the environment but also how they may affect others as well. Report people to the proper authorities who damage resources, litter, or violate area regulations. Better yet, educate them on why they shouldn't be doing what they're doing and teach them how to correct their behavior. 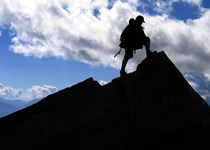 Navigate with a map and compass to eliminate the need for ribbons, rock cairns, or tree blazes. If you use a hammock, protect the trees with a bandana or a sock to prevent damage from the rope. Don't use nails. Take Leave No Trace ethics a step further. Practice Negative Trace hiking and camping. Take an extra trash bag with you when camping or backpacking. Pick up trash that others may have missed or that were dropped by accident. Pick up trash you find on the trail while hiking. Educate as many people as you can about Leave No Trace and minimum impact skills and ethics.